Kippenheim, 15 March 2017. Janoschka, a leading provider of products and services for prepress solutions, will be represented with an extensive product and service portfolio at Interpack 2017 in Düsseldorf from 4 to 10 May. On stand 11B69 Janoschka will exhibit at Interpack from 4 to 10 May presenting tailor-made prepress solutions for the packaging industry. 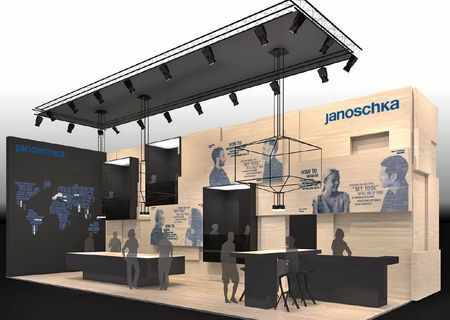 Besides its state-of-the-art product portfolio covering the whole graphic supply chain from design to print, Janoschka will focus on newly designed service bundles. With these service packages brand owners of the FMCG, food and non-food, and Tobacco industry are offered individual solutions coping with their challenges in managing the graphic supply chain. With Janoschka’s prepress expertise of more than 40 years, the customized offerings consider exactly the clients’ dare like volume peaks, capacity management, brand consistency, quick time-to-markets, etc. Visit us at Interpack on 11B69. Your free of charge entrance ticket is reserved and will be sent on request.